Tom is a graduate of Florida Atlanta University with over 30 years of experience as a Certified Public Accountant in Sarasota, Florida providing audit, review and compilation services to condominium, cooperative and homeowners association’s as well as tax preparation for corporations, partnerships, trusts, nonprofit organizations and individuals. 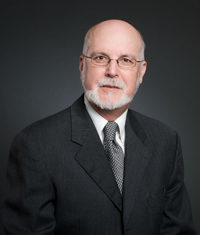 Prior to the formation of Menchinger & Tyack CPA’s, LLC Tom was the managing member of Thomas A. Menchinger CPA, LLC for over 5 years and previously was a partner in another firm for over 20 years. Tom has served as Treasurer on the Board of Directors of various business organizations including local chapters of Community Association Institute and Building Managers International. Tom helped start a local Kiwanis Club and served as its Treasurer, was on the Advisory Board of a branch of the Sarasota YMCA and is currently serving as Treasurer of Teen Court of Sarasota, Inc. and also Treasurer of a local charitable foundation that provides scholarships to area students.